France this evening unveiled a huge €12 billion deficit cutting package that raises taxes on the rich and closes some tax loopholes. 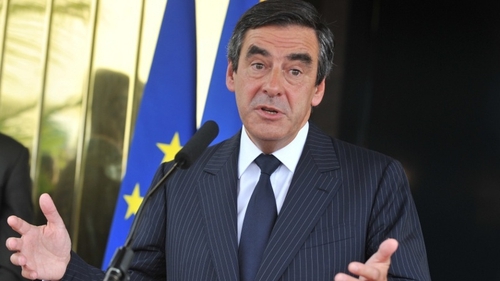 Prime Minister Francois Fillon revised the government's growth forecast for 2011 downwards to 1.75% from 2%, but said the measures would trim next year's public deficit to 4.5% of GDP. 'Our country can not live beyond its means for ever,' the premier said, laying out supplementary budget proposals drawn up in response to the euro zone sovereign debt crisis. Earlier this month world markets were rocked by rumours that France might see its credit rating downgraded and that its banks were overexposed to the debts of weaker euro zone countries. President Nicolas Sarkozy's government has insisted the French financial system is not at risk, but Fillon said the France had passed the 'debt tolerance threshold'. 'It would be irresponsible to not take into account the international economic situation', the prime minister said. Experts have long considered France's growth projections - of 2% this year and 2.25% the next - too optimistic, and Fillon's new measures were based on new forecasts of 1.75% both for this year and 2012. Despite this slowdown, Fillon said his package would allow France to trim its public deficit to 4.5% by the end of next year. He has already vowed to hit the eurozone target of 3% by 2013. To get there, he said France would cut €1 billion more than planned from public spending this year, and €11 billion next, tough austerity measures despite Sarkozy's impending re-election battle in April. In addition, a 3% tax will be slapped on incomes over €500,000 annually until the 3% deficit target is met. Taxes will also rise on tobacco, alcohol, sugared drinks and theme park tickets and capital gains. Receipts will supplement the social security budget, which is in deep deficit. Supplementary health insurance policies are also to be taxed at a higher rate. A number of tax breaks are to be scaled back by a further 10% after having already been cut back. However a key Sarkozy legislative iniative, reduced taxes on overtime hours, escaped untouched.